"7 Secrets to Scaling Your Business in 2019" with Less Effort and More Profit and alot more Fun! 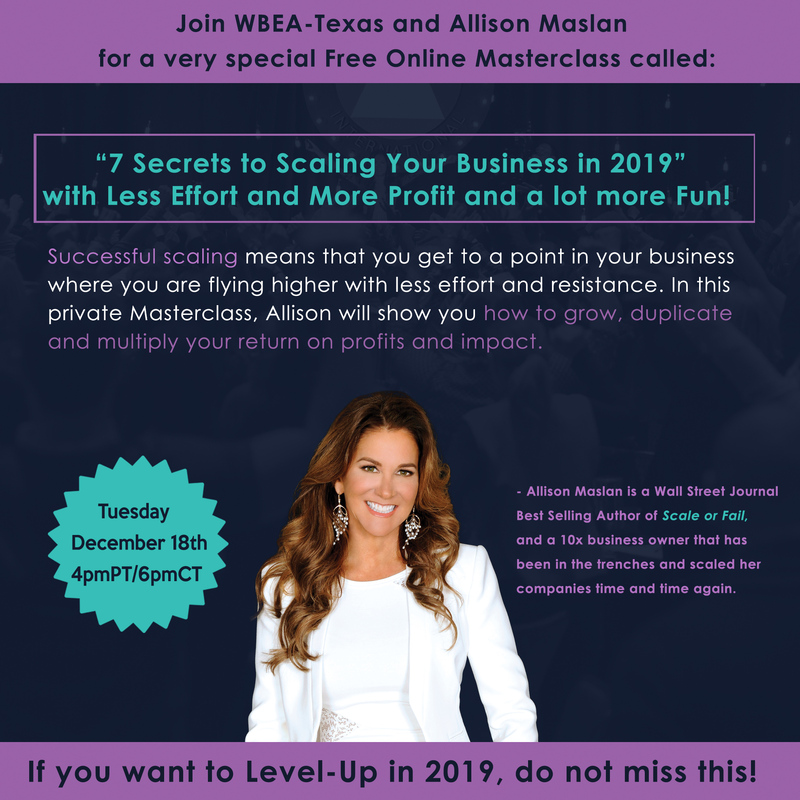 WBEA is inviting you to a ‘never before’ Private Online 60 Minute Masterclass with Wall Street Journal Best Selling Author and 10x Entrepreneur, Allison Maslan on December 18th at 4:00pm PT / 6:00pm CT. She is sharing her top strategies so that you can scale your business in 2019 with less effort, more profit and more fun! It’s one time only.